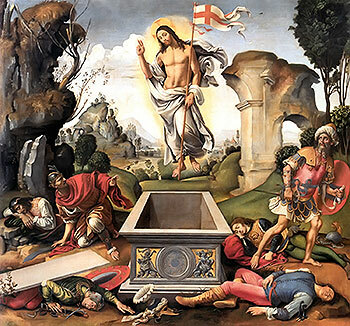 Christians across the globe celebrate the festival of Easter with intense religious fervor and vigor. 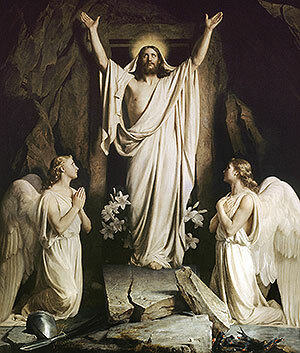 This auspicious event is observed in order to commemorate the Resurrection of Lord Jesus Christ. Thus in order to religiously celebrate the day, special services is conducted in various churches, where people chant hymns and prayers, praising the Lord. Through some pious prayers and hymns, people confess their bad deeds to the Lord, thus asking forgiveness for their all sins. Moreover through these religious prayers, the devotees praise and thank the Almighty for showing His presence everywhere and for supporting every soul through the thick and thin of their lives. However chanting these religious prayers are not only constricted to the church, people chant them every time before having lunch or dinner. Listed below is some famous Easter prayers which you can chant as well refer to your loved ones. Though they had placed a rock over him. Why kept they not the Rock of Justice?